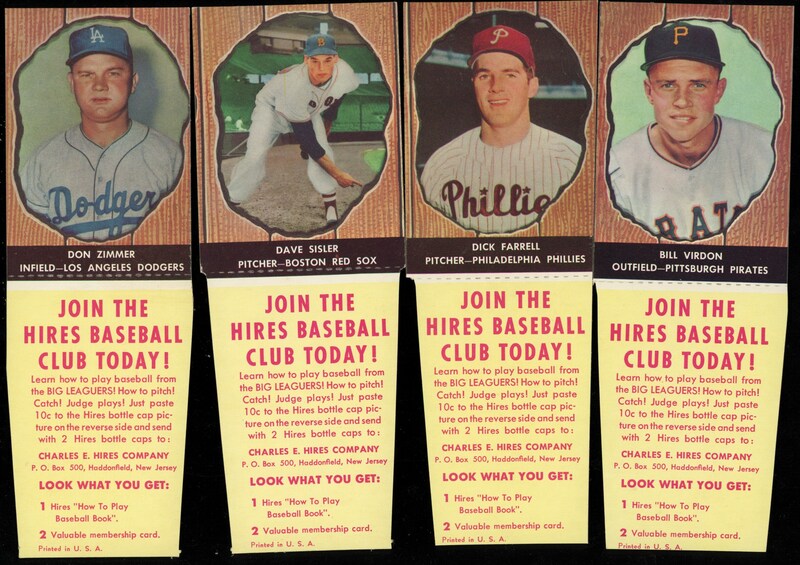 RARE COMPLETE SET!!! 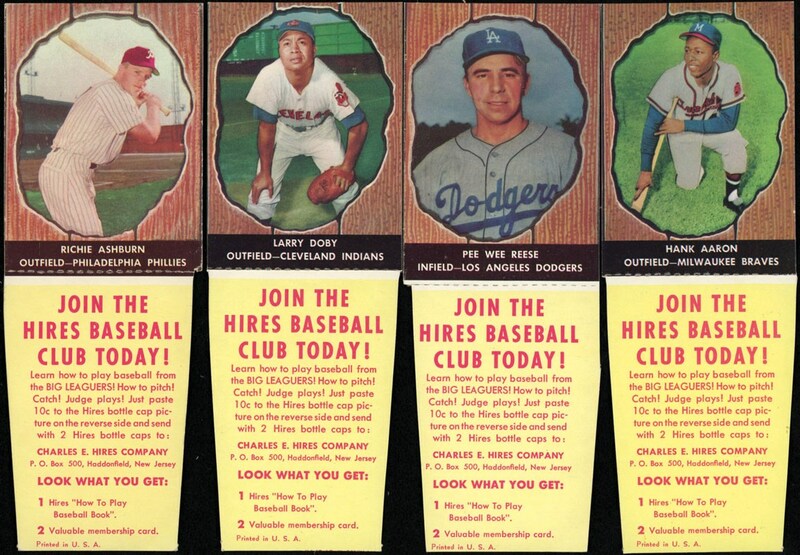 This 66 card set was issued by the Hires company in 1958. 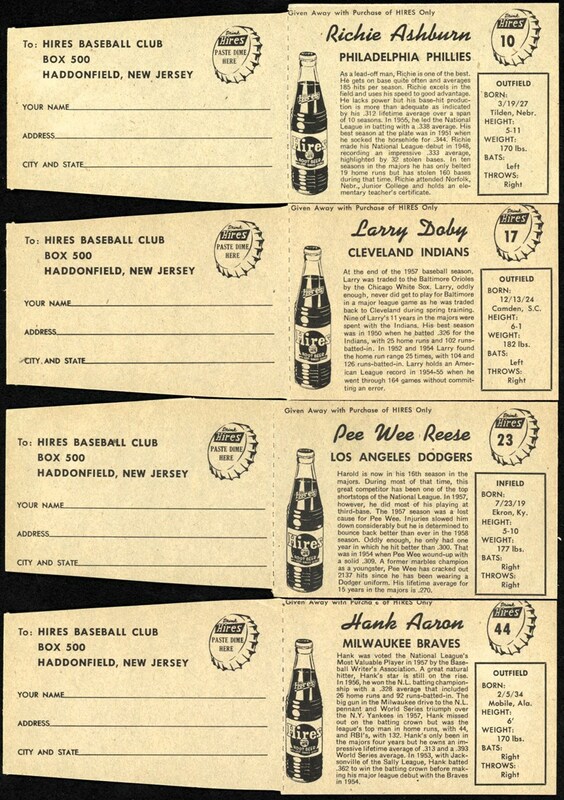 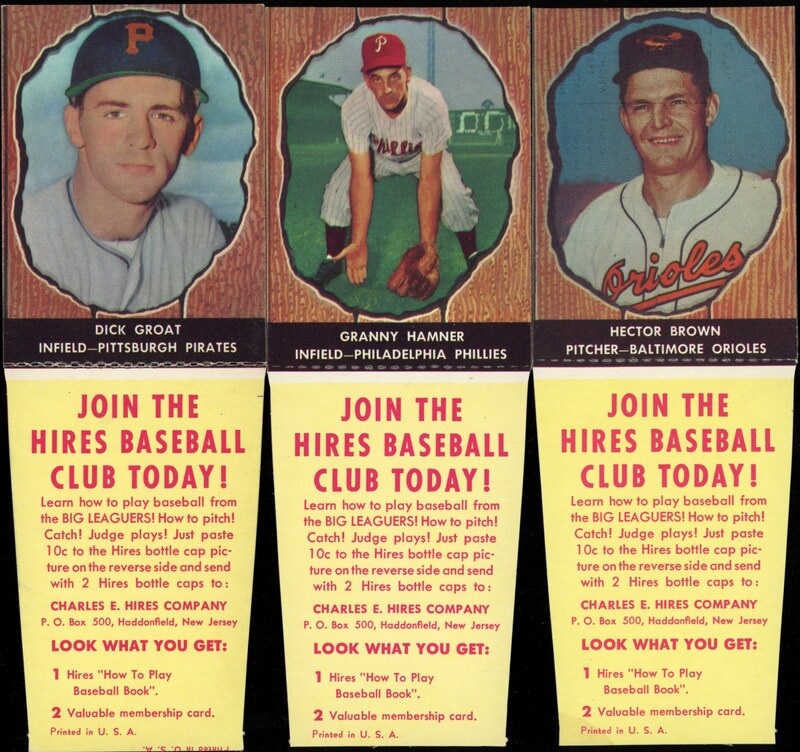 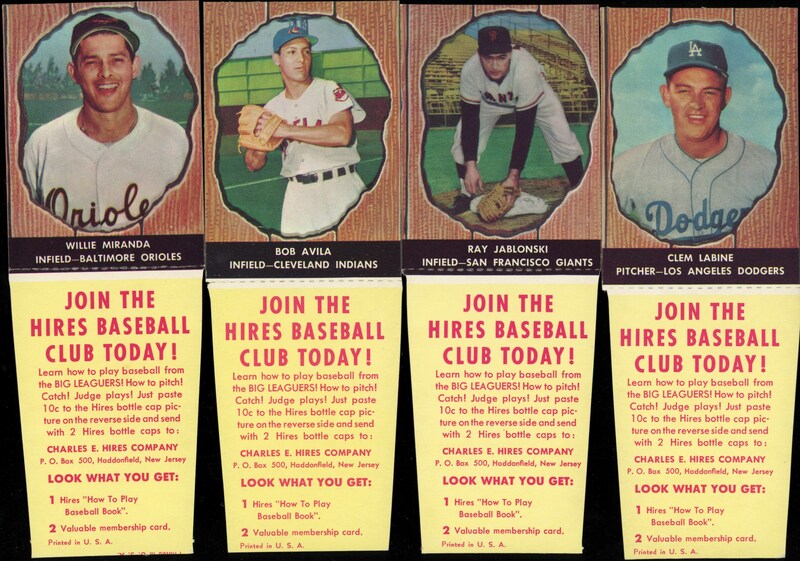 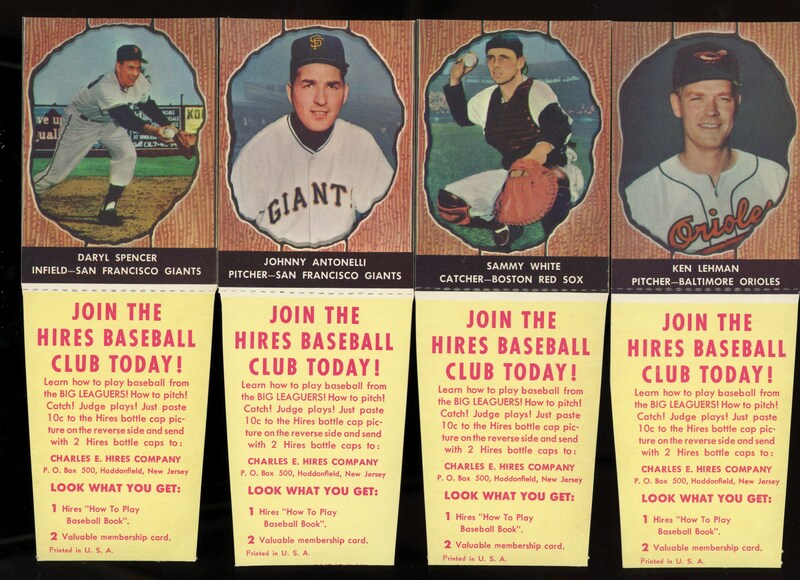 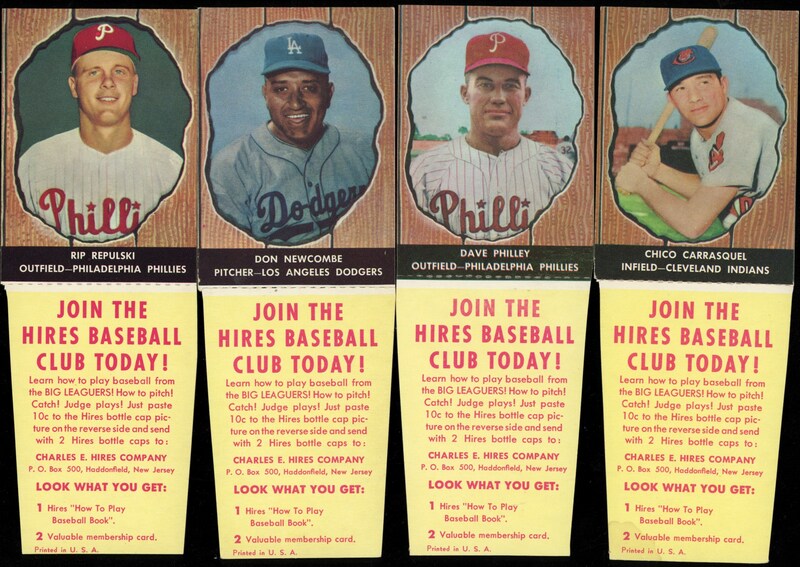 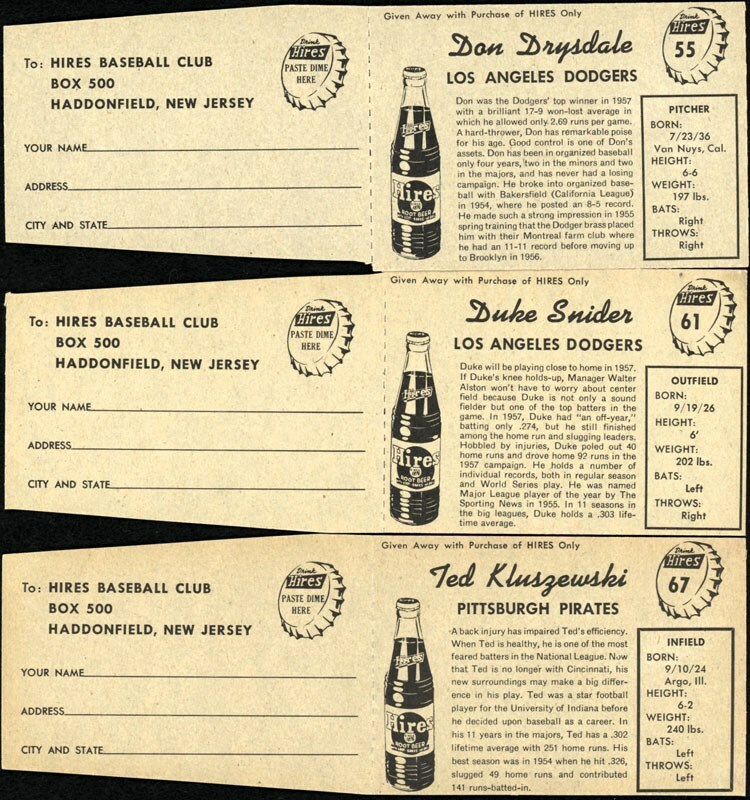 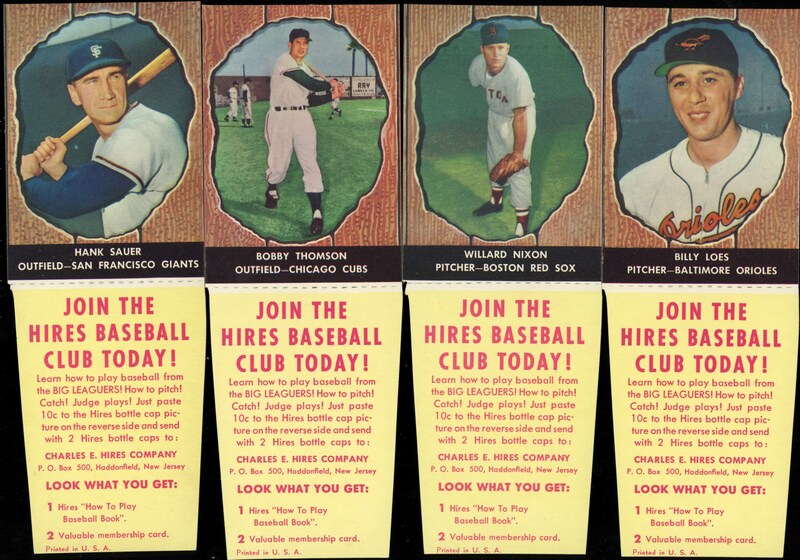 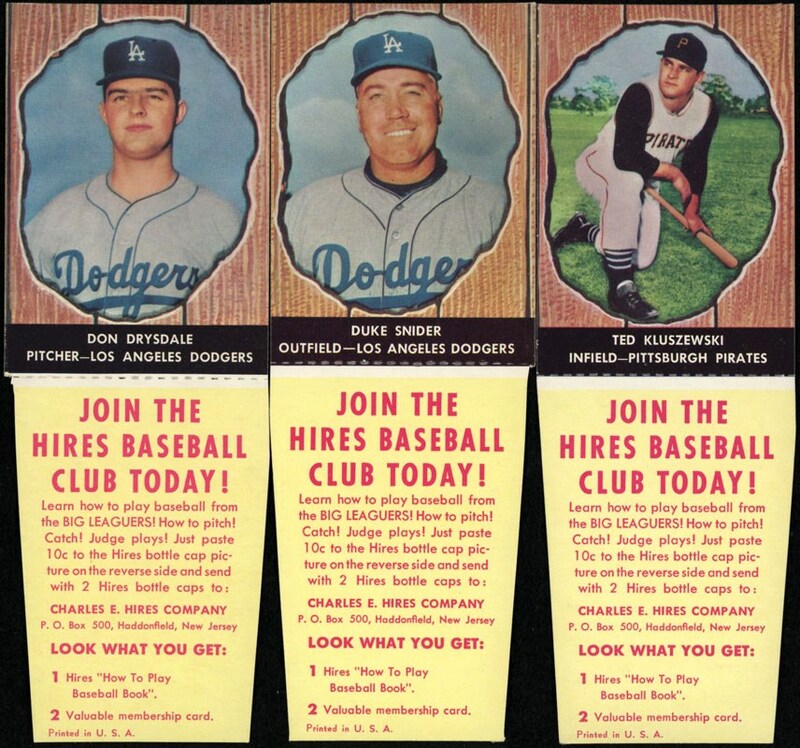 Originally the base card was attached to a wedge-shaped tab that served the dual purpose of offering a fan-club membership and of holding the card into the cardboard carton of soda bottles. 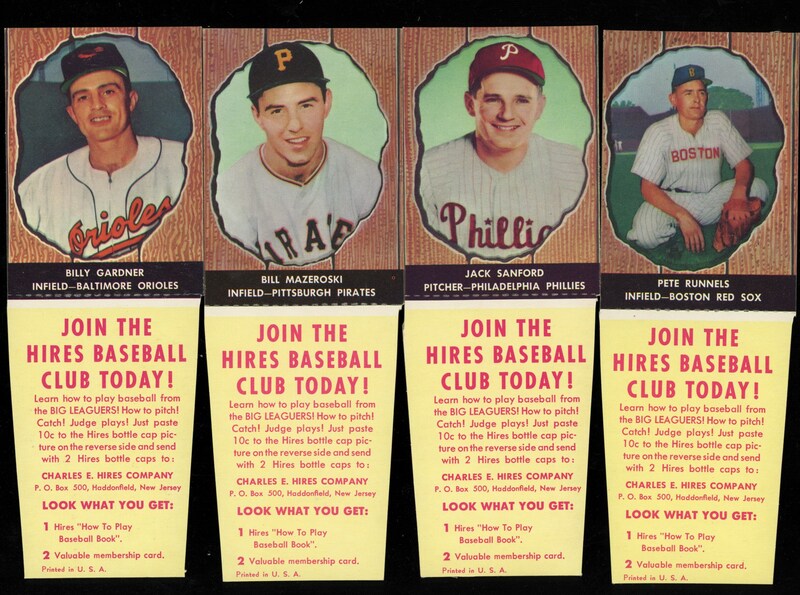 This complete set does have the Tabs intact on all of the cards and this set was also purchased over 25 years ago from Alan Rosens significant Hires Rootbeer find. 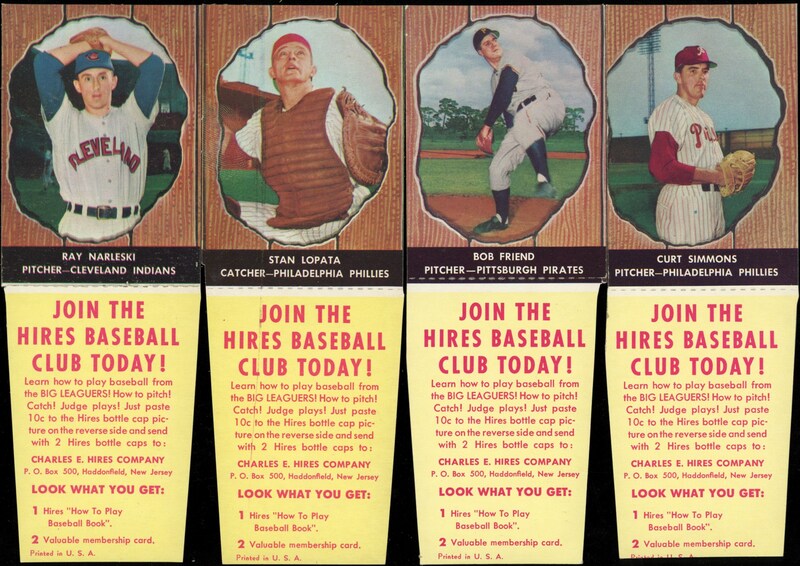 Numbering of the cards starts at #10 and goes to #76, with card #69 never issued, making it a set complete at 66 cards. 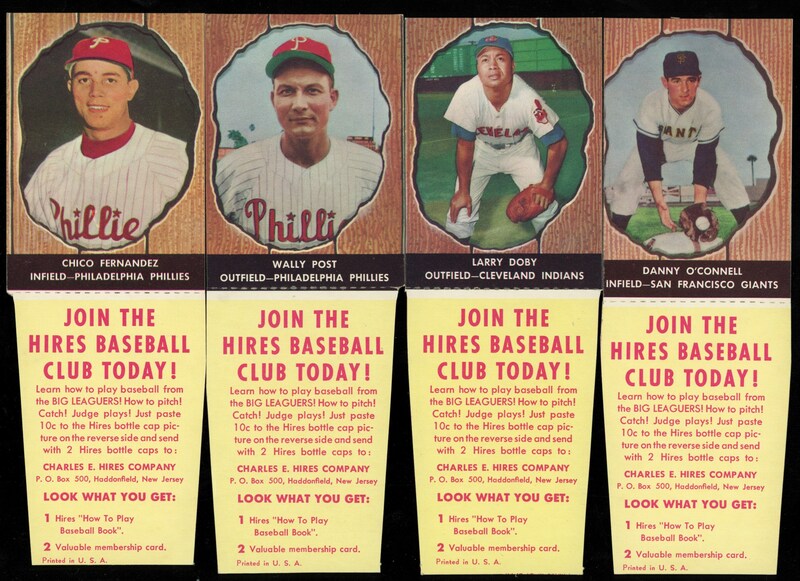 This Raw set is in overall EX+ to NM+ condition (other than Mays in a PSA 8 NM-MT holder) with the key cards as follows: #10 Ashburn EX+, #17 Larry Doby NM, #23 Reese NM+, #44 Aaron NM, #55 Drysdale NM-NM+ and #61 Snider NM+. 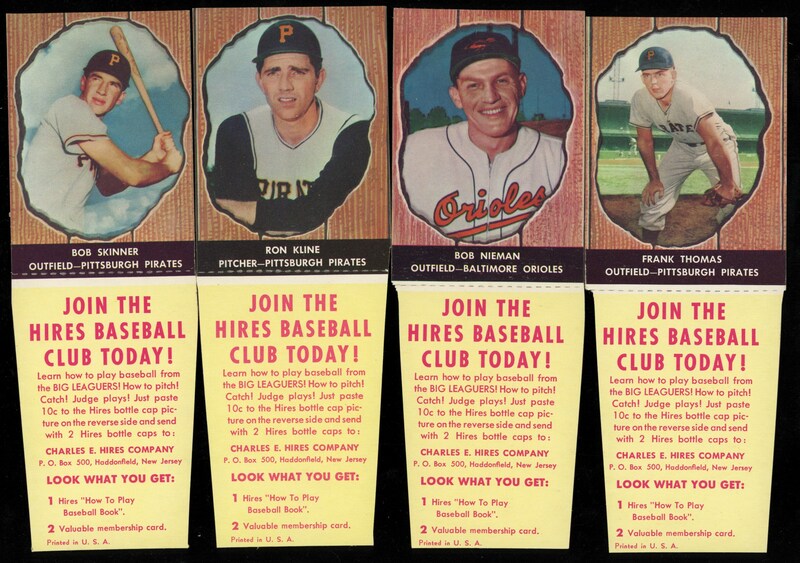 Many stars from days gone by in this 66 card complete set with most of the cards gradable. 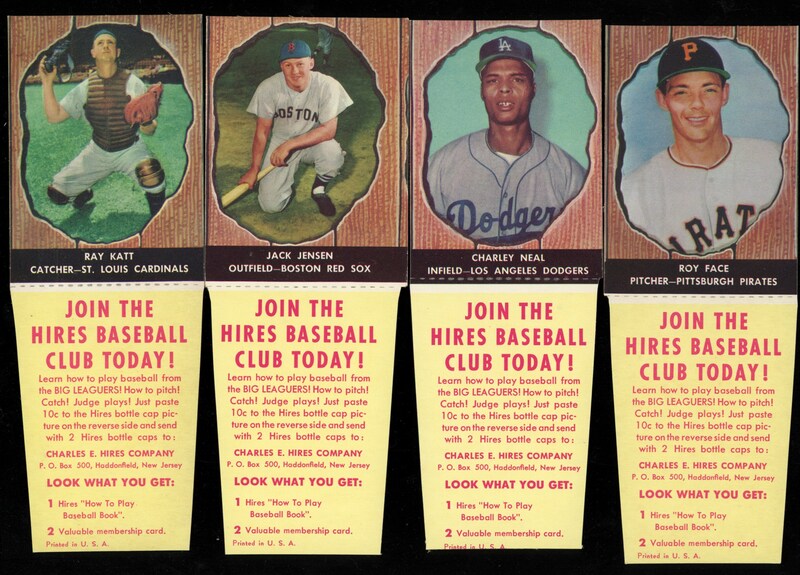 Own this RARE complete set with tabs.